Being a parent is hard work no matter your situation, there are pro's and con's to being both a stay at home and working mum. But one thing I've learnt as a working mum who is also the main care giver, is that you really need to be organised to keep on top of things. If you're not organised, you're constantly chasing your tail and rushing to get places and get things done. Not easy when you have young kids, who always seem to want to do things on their own agenda. I was a working mum, working part time for the good part of a year. Having a husband who works long hours, I was sole parenting the majority of the time Monday to Friday, as well as cooking a lot of the meals and keeping our home clean and tidy. 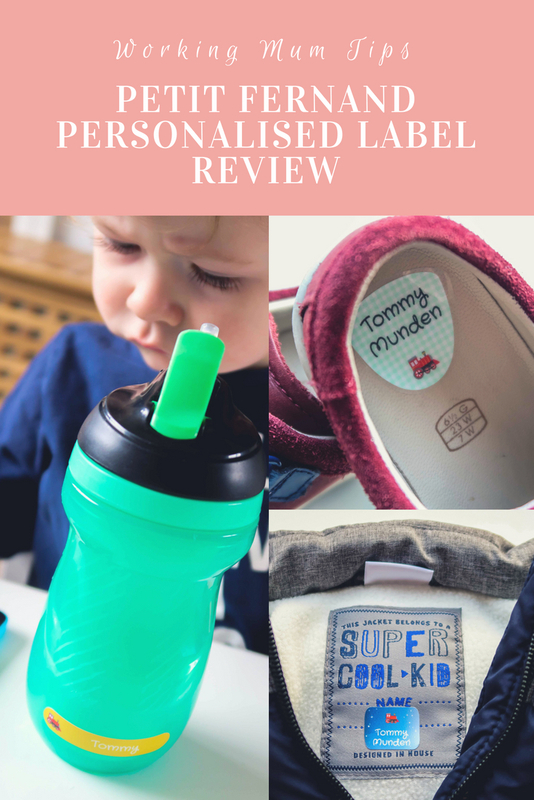 Here's a few of the things that helped me stay sane and on top of things as a working mum. Of course much of the below would work for you no matter what your situation is, but these are the things that helped me as a working mum. I learnt the hard way that you need to label your child(rens) clothing if you're sending them to childcare. There's been a few occasions that a piece on clothing has gone walk abouts and it's taken a while (in some cases weeks) for the item of clothing to re-emerge. When money is tight and you don't want to send your child into nursery in their best clothes, you really can't afford for any of their clothing to go missing. 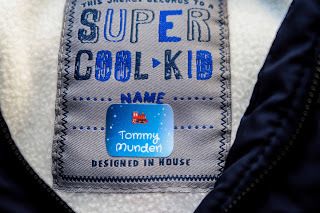 So I needed to find a way of labelling my little boys clothes. I searched for a material pen, without much luck, so decided to use a permanent marker to add a name to the label. That didn't work well as the pen ink just bled everywhere, making it hard to read the name. In the end I used a regular ballpoint pen. It wasn't the easiest to write on the label and the pen ink can fade in the wash, but it did the job. I'd seen name labels being advertised online and thought they looked great and would be easy to use. I was lucky enough to have a company called Petit Fernand get in touch and ask if I'd like to try out their product. So of course I jumped at the chance. I was sure this was going to make my life a whole lot easier and the name tag would look Sooooooo much better than me writing the name on. 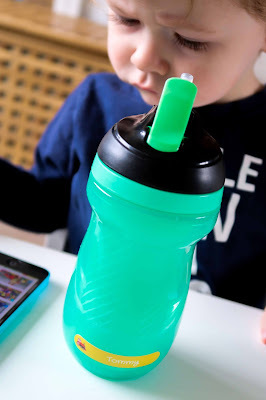 There's a variety of products to choose from to satisfy any parents needs. 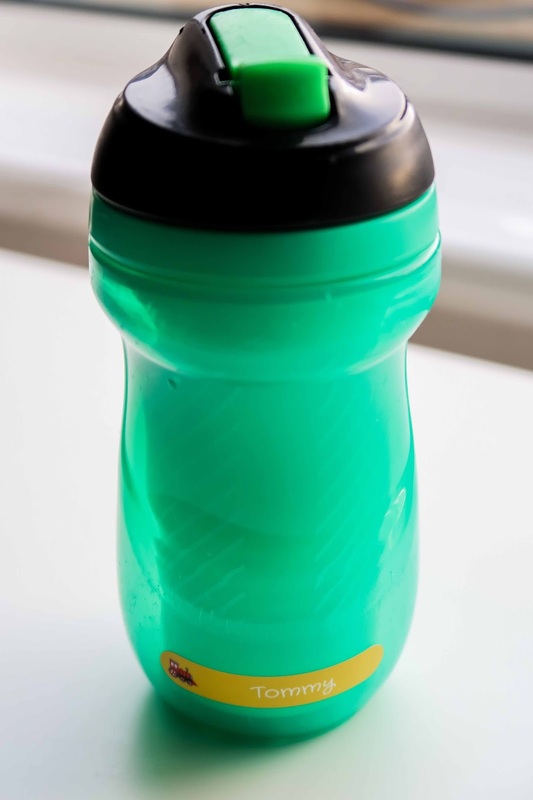 From value label packs, to personalised lunch boxes and drinks bottles. 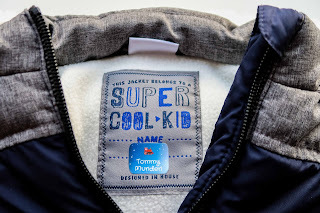 All are personalised with the design that you've chosen. I decided on the Nursery Value Pack since we will be sending our little boy to nursery for the next few years. 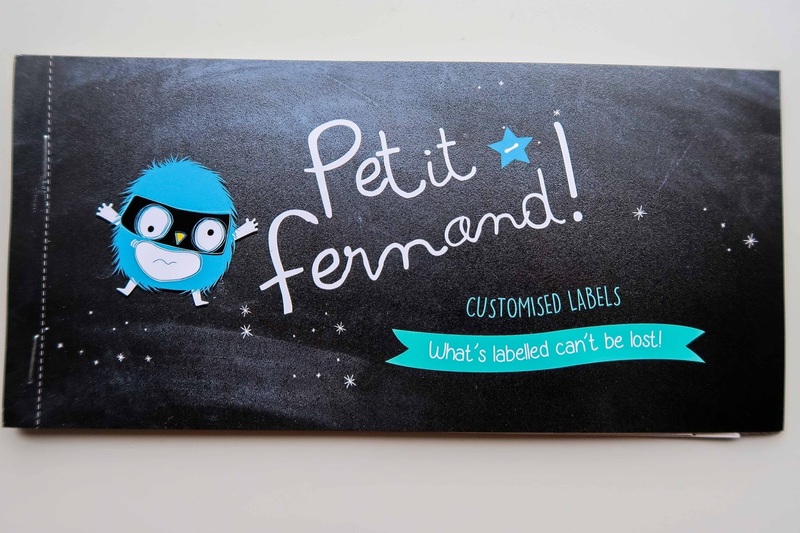 It contains 120 labels in total and I was able to choose the background design, font, colour and illustration. 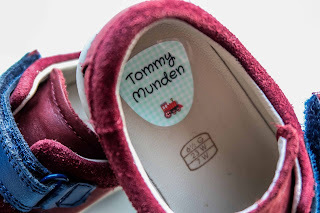 I chose a little train since that's one of my boys favourite things, but chose different background designs and colours for the different labels. They are all great quality and the name is very clear to read. So you really can choose what suits your little ones personality. The labels came in this neat little booklet so everything is in one place. You don't have sheets of labels you need to try and keep together. This booklet is so easy to store in a draw without fear of loosing some of your sheets. 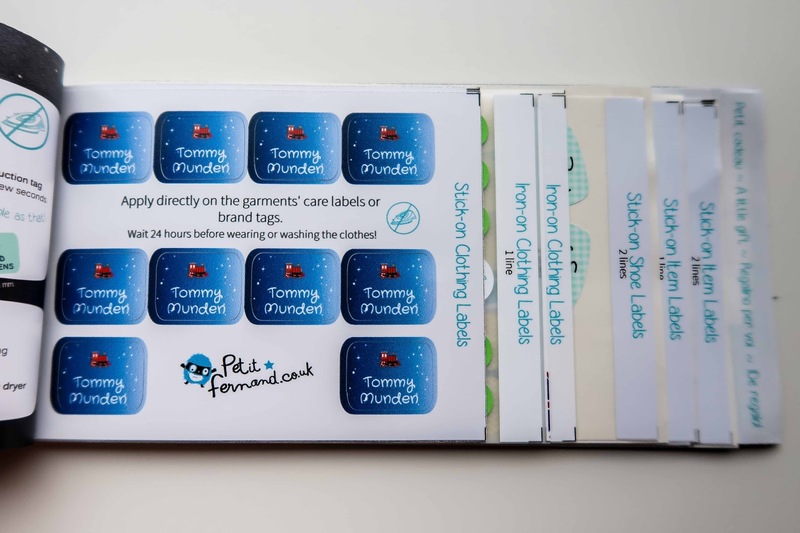 And the labels are all easy to identify so you can go straight to which type of label you need. 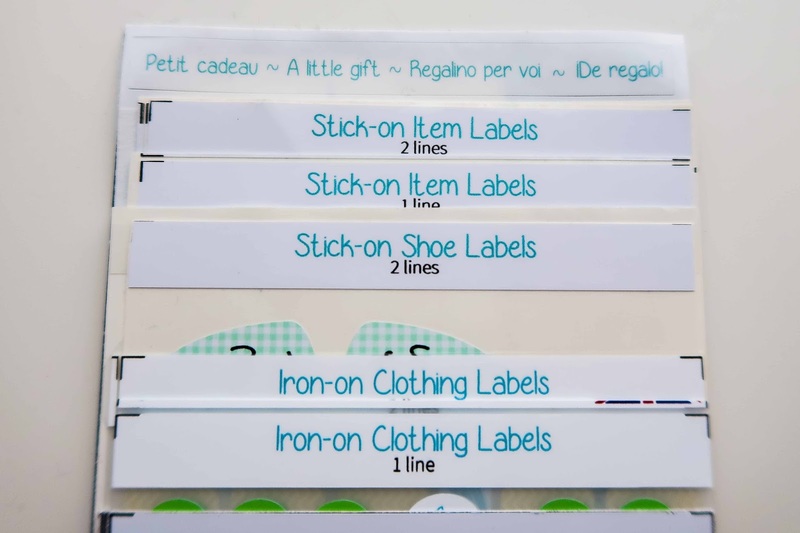 I love that they have included both iron and stick on labels for clothing. I'm not one to get the ironing board out at the best of times, and now being heavily pregnant I'm even less likely to get it out. But this didn't stop me from being able to label up the clothes. Here's one of the stick on name labels. It was so easy to apply, just like you would any sticker and no need to pull the ironing board out. FANTASTIC!! It's great that they also include labels for other items other than clothing. As it's not just their clothing that you don't want to go missing. I could have got a personalised drinks bottle from Petit Fernand but we are overrun by water bottles in this house, so I certainly didn't need to add another to our collection. But no problem, I was still able to label up the ones we already have. And the label has withstood being washed and submerged in water a number of times. 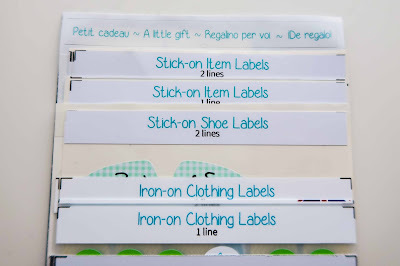 I'm so pleased with my labels, with how they look, their durability and how much easier it's going to be to label up the little ones clothes. Hopefully now none of his clothes go walk about at nursery!! I can't tell you how important meal planning is. 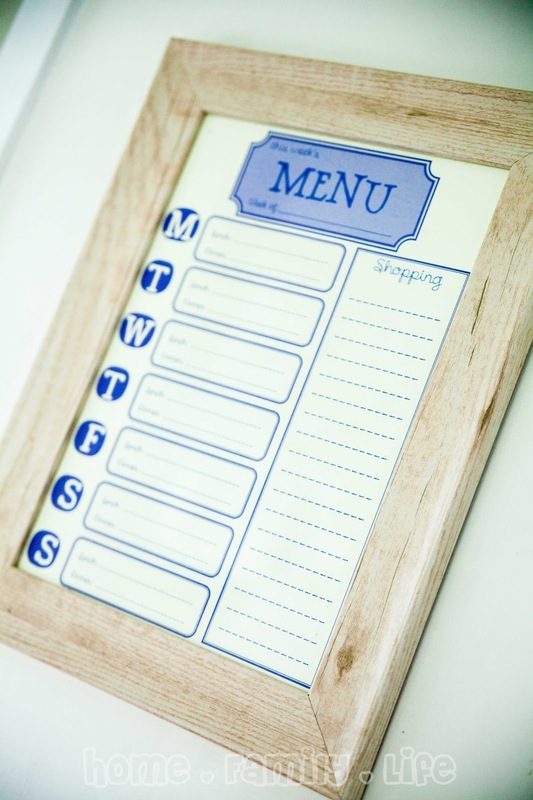 No matter what your situation is, meal planning can be so important for so many reasons - staying organised, keeping to budgets and avoiding daily trips to the supermarket. When you're out of the house the majority of the day, the last thing you want to do is think about what you'll be making that night. If you need to do the nursery/school drop off and pick up before/after work, taking a trip to the supermarket may prove difficult. I tried to plan meals that were quick and simple on work days, so I wasn't spending an hour in the kitchen after a long day at work. It also helped to not have to think about what I'd be preparing for dinner that night as it had already been decided. This goes nicely along with meal planning. In the past I've done batch cooking for a whole month. This is no small task, but did make for an easy month once the hard work had been done. If this isn't for you, just make double one night and either put the extra in the freezer, or have the left overs the following day. This saves a lot of time and effort. It's so much easier to re-heat left overs on a work day, than it is to have to cook from scratch. To make your morning run a little smoother, get everything prepared the night before. I always found it hard enough getting myself out of the house on time for work. Now add to that getting myself and a child ready and out of the door is an even bigger challenge. Especially when things don't always go to plan with children. Preparing things like nursery bags, food, clothes etc... the night before just helps to eliminate having to do quite so much. When I was a new mum and home every day I found myself cleaning all the time. I soon realised I needed to schedule in my cleaning, to make time for other things. Being a working mum this is even more important. Whether you share the house work or not with your partner, having a plan for when it's going to happen, alleviates the pressure. For our household I do the majority of the housework as I have some extra time throughout the week and our weekends are precious family time. Everyone has their own way of house cleaning and what works for them. Some like to do one job per day and others want it all done in one day. For me I prefer to get it out of the way in one go. I'm not a huge fan of cleaning, but I do like a clean and tidy house. I have my list of jobs up on the wall and I choose a day that best suited me for doing the house work. That kept my other day(s) at home free for whatever else I needed/wanted to do. Most modern washing machines have the facilities to delay the start of the washing cycle. By loading the machine before bed, you can wake up to a machine of clean laundry ready to hang out or put in the tumble drier. If sorting the clean laundry before work is too much to deal with in the morning, then set the machine right before leaving the house in the morning so you come home to clean laundry. There are no doubt more things you can do to help with being a working mum, but the above definitely helped and still helps.